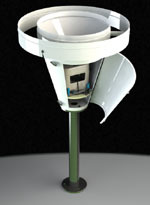 Founded in 1946, PRÉCIS MÉCANIQUE is specialized in the manufacturing of meteorological sensors. PRÉCIS MÉCANIQUE is present in 70 countries throughout the world and exports half of its production. 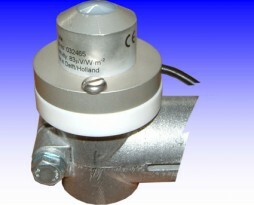 PRÉCIS MÉCANIQUE supplies sensors for all meteorological parameters, as well all related consumables. Main French weather-sensitive organizations (IRD ex-ORSTOM, CEMAGREF, DDAF, CNRS, CEA, Centre d’Études de la Neige, Agences de Bassins, EDF). 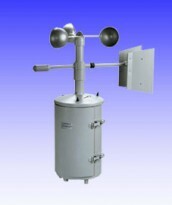 → Extensive range of rain gauges. → Traditional sensors as well as 3D measurements through ultrasounds. → Mercury barometers, Fortin barometers, pressure transmitters. → Mercury thermometers, electronic tensiometers, thermohygrometric measuring probes. 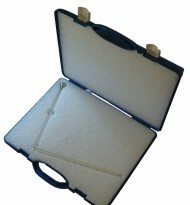 → Piche evaporation measurement tool, evaporation tanks (ultrasounds measurement).